If you would like to become an pest control expert in the field of “rat catching”, keep reading. Most pest controllers deal with rodents on daily basis but not everyone does their work with the right attitude. Many pest controllers just come and inspect their baits, replace them if necessary and quickly run to their next bait placement thinking that they are doing everything that is written in the contract between them and the client. These pest controllers do not have the needed “killing instinct” which they should have in order to get a reputation of being an expert in their field. We will help you identify the most effective control methods as well as a detailed biology and life cycles of rodents. If you want to know even more, go get yourself a copy of “Urban Pest Management in Australia, 5th Edition, UNSW Press, 2008” written by John Gerozisis, Phillip Hadlington and Ion Staunton. It is an excellent source of information on everything related to pest management in Australia. First mention of rodent control is recorded in ancient Egypt. Egyptians used bins to store their grain for later use and it did not take long for rats and mice to find their way in. However, ancient Egyptians were smart and it did not take them too long to find the cure cats. These days, if you would consider putting a cat in your store to get rid of these pest, you would receive two fines from the authorities, one for the on-premise cat and other for having rats. Time changes. Back in the old days, there is a story of Jack Black, a famous rat catcher who was operating in England during the Victorian era. He was so good in his job that he became known as the rat destroyer to Her Majesty Queen Victoria. Jack Black started catching rats and mice when he was 9 and around 1840 he was catching them in various government departments all over London. He also supplied live rats for ratting competitions which were held in most taverns. In these competitions, terriers were fighting live pest rats and their masters placed bets on them. Disease carriers – rodents are known for their potential in carrying a large number of diseases, some of which can be fatal for humans. The one disease that is the most notorious is the so-called Black Death or plague. Plague was responsible for death of millions of people throughout the entire history and has completely changed the social system in the Middle Age. Food consumption and contamination – rodents are dangerous to people because they have a nasty habit of eating our food. If that weren't enough, they contaminate it by leaving their droppings, urine and hair. Additionally, they destroy cartons and containers. There were cases where food warehouses lost millions of dollars per year because of rodents. One very common name for rodents is commensal which comes from the Latin word for table “mensa” and it means “eating at our table”. Unfortunately, rats do not just eat from our table. They eat everything and in some occasions even the tables. Physical damage – rodents have the need to gnaw constantly as they need to keep their incisor teeth to grow too long. They can gnaw food containers or to make nesting sites. Their gnawing can cause fire and short circuits when they gnaw at electrical cables. 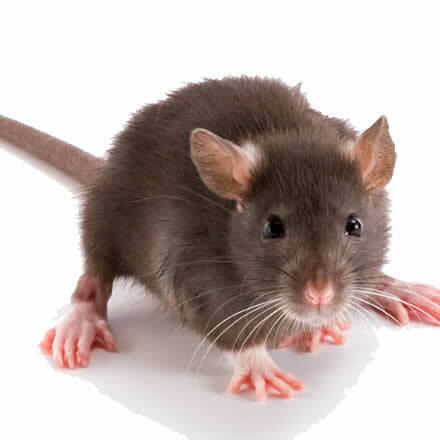 Fear – it is completely normal for people to feel scared when they come across rodents. However, some people are much more sensitive than others. Fortunately for us, we do not work in Central America. Why? Well, if we lived there, our job would be to deal with the largest rodent in the world Capybara which can grow up to 50 kilograms! There are as much as 2000 different pest rodent species in the world and most of them are small enough to be a food source for many carnivorous animals. Because of a large number of threats that they are facing, they become sexually active at a very young age and they have very short gestation periods with large litters. These factors make rodents a pest which can quickly invade every building or house. All rodents found in Australia belong to the family Muridae and three pest species of this family belong to the subfamily Murinae. In Australia there are approximately 60 native species. Some of them are well-known like Water Rat, Stick-nest Rat and Bush Rat. These native species such as bush rats and various species of mice can be often found in backyards, so it is not uncommon that people can identify the animal's species before undertaking a control programme. Rattusrattus – Really common rat which commonly known as a roof rat, black rat, fruit rat, tree rat, ship rat, and Alexandrine rat. Head and body length of this rat are 165-205 mm and tail length is 185-245 mm. Its body weight is usually 95-340g. From these measures you can see that the tail is longer than the body, so it is easy to identify him if it is not running at the same time. Eyes and ears of this rat are relatively large and its fur colour can be from black to light brown. This pest species can have up to 6 litters, each with 5-10 young, annually after their gestation period which last 21-22 days. Developing of baby rats is rapid and can be weaned when they are 20 days old. They are able to reproduce after 3-4 months. This rat species may live up to a year in the wild or as long as 3 years in captivity. This pest species has spread throughout much of coastal Australia and is very likely that they arrived in Australia with the First Fleet. It has not been able to penetrate into the arid areas of central Australia but it can be found in settled as same as unaltered country. People very often mistaken roof rat for a native species. This rat is common around farms (especially poultry farms), waste disposal areas, food warehouses, stables and in older parts of cities. Food that this rat prefers is fruit or vegetables but it will also consume any human food. Because of eating food which has a high part of water, it does not need a lot of water for drinking. This rat is very often found in domestic dwellings. People that live there can be alerted to its presence by scratching noises in the roof void. It can nest in a roof void, a tree top, boxes stacked on pallets or inside wall installation. Roof rat is extremely agile, so it can climb on trees, conduits and also on other vertical structures with great ease. Because of its ability for transmission of diseases, this rat is unwelcome in any location. It was the carrier of the Black Death that resulted millions of death in the past. It can also damage fittings, fixtures or consumes and contaminates food and food packaging. Rattusnorvegicus – This rat is also called Norway rat, white rat, sewer rat, brown rat or laboratory rat. We can say that if the roof rat is the “acrobat” of the family, then the Norway rat is the “strong man”. It can have a combined head and body length of 80-255 mm and tail length of 150-215mm. It weight is usually between 200 and 400 g. Norway rat is stocky, has scruffy brown fur, short ears, small eyes and its tail is short and thick. In comparison to roof rat, when Norway rat is cornered, it will repeatedly launch itself towards the perceived danger. This rat is prolific breeder and can have 5-6 litters of up to 18 young annually but usually in the range of 7-10. The gestation period for this rat is 21-23 days and the young are weaned around 20 days. In Europe and America, Norway rat is termed as “common rat” because of its dominance among species. Norway rat arrived in early sailing ships but has not colonised in Australia as much as roof rat. It can be found more often around major coastal cities and ports but very large infestations (around 10,000) have been also found in poultry farms which are a long way from any port. This rat is not a strong climber, so it usually lives a colonial life in deep and extensive burrow systems. Each colony of Norway rats has a ranking order which exists between dominant males and each of them has their own territory with several breeding females. Young rats are forced to leave the territory after reaching maturity and they need to find a new home. This rat will eat any human food, so it can be found in garbage. It prefers cereals, meat, fish and they also need access to water. In the poultry farm which has been noted earlier, Norway rats were living in burrows constructed in the piles of manure under the cages and ate eggs, dead chickens and poultry pellets. These rats were drinking water from the drippers used by the chickens. This rat colony on the poultry farm was active all throughout the daylight hours and walked across the feet of people who were collecting the eggs. This population had existed for 20 years before the farm owner called a pest controller! Mus domesticus (or Mus musculus or Mus musculus domesticus) – This species is also called house mouse but there is some confusion as to the exact species that we have in Australia. Recent studies lean towards Mus domesticus as being Australian domestic species. Its head and body length can be 60-95 mm, tail length 75-95 mm and weight 10-25 g. Some typical body characteristics of a house mouse are a slender body, a pointed nose, fairly large ears and fur colour which can range from brown to grey. House mouses reach sexual maturity at around 8 weeks of age and they may produce 6-10 litters annually with 5-6 young per litter. Their gestation period is around 19 days. Today, house mouse can be found worldwide and is one of the world's most successful living mammals and has probably originated in central Asia. House mouse does not live only in domestic dwellings. This species may live either indoors or outdoors and usually comes inside to avoid cold weather. Because of their small bodies, they can enter through almost any aperture very easily. Professionals like to say that “if you can stick a pencil through a hole, then a mouse can surely follow”. They will host inside a building in any secluded environment such as roof voids, wall voids, inside furniture or cupboards, in pallets of stock or in expansion joints. If we say that rats are “cautious avoiders”, then mice are “curious investigators” and they are able to explore a new environment much more rapidly than any rat species. Some people say that rats are “neophobic” what means that they have “fear of new objects in the environment”. This term originated from the Greek and characterises a behavioural trait which is strongly exhibited in rats but quickly overcome in mice. Most likely, rats will avoid traps and bait stations for a few days until they become accustomed to the disturbance. In situations when they do not have food sources, they may consume baits on the first night if the bait is palatable. Pest controllers say that neophobia is the reason why rodents do not consume baits, but there are many reasons why. Sometimes they are just not interested for grain based bait because they have some more attractive type of food around. In this situation you will need to rely more heavily upon proofing, traps, glue boards and hygiene. Curious nature of mice helps us to eradicate an infestation by either rodenticides or mechanical means.Mice have omnivorous feeding habits and eat in frequent intervals small meals at many different locations. Feeding habits of rats are different. They eat at only one or a few locations. Because of their different eating habits, bait stations for mice may be placed as close as three metres apart and rat bait stations may be fifteen metres apart. Base of all proprietary rodenticides is cereal grain because of fact that is accepted by all pest species and is resistant to different weather conditions. Most of these products contain “secret ingredients” to enhance bait acceptance. At Masters Pest Control Sydney, our pest control experts understand rodent behaviours to provide the most effective rodent and pest control solution for your house. If we compare senses of rodents and humans, rodents have enhanced senses but there are certain similarities. They have great senses of taste, smell, touch, hearing and muscle memory, also called kinaesthesia, but their vision is relatively poor. Because of rodents' expressed senses, they may be avoided contaminated baits, traps or glue boards. They will not avoid baits or traps if they detect our odour because they are generally accustomed to the smell of humans. But our advice is that you wear disposable gloves when you are carrying out rodent and other pest control, because you can come in contact with rodent urine, droppings, hair or nasty germs. You must have patience and look at all the important areas. This is very important for some pest controllers, for whom a complete pest inspection will lead to a much more professional rodent and other pest control management campaign. You can also find copies of the site plans which can be very helpful when quoting on commercial premises as you can easily calculate the number of bait stations required for a site with specific dimensions. A copy of the map of existing bait station locations will be helpful if you are inspecting an establishment which is already on contract with another pest controller. Pest inspection will get you a better view of situation which you are dealing with, so you must find out which species are in local. Every rodent species has different behaviour, so if there are Norway rats, you do not need to pay attention to the roof voids as much as you need when there are roof rats. In this case you will need to check the ground, especially creek beds, and you will also need to look at adjoining properties because it is possible that these pests are living there. If you think to yourself that “The rats are eating the dog food in Aisle 3, so I'll look around Aisles 2 to 4”, that is not enough. There was one situation when rats were eating the dog food but they were living on an elevated platform in a far corner of the warehouse. Nobody, including the pest controller did not climb to ladder and take a look. You must inspect all high areas because there may be roof rats. Sometimes it means that you need to climb into roof voids and inspect cavity walls. Live (or dead) rodents – this is a major sign if they are alive. If they are dead, that can be also sign unless the corpses smell too much. Droppings – The texture, the size, the shape and the quantity can also helps you during inspection. If they are shiny, black and gleaming, then they are definitely fresh. In other hand, if they are grey, dusty and crumbling, then they are antiques and the infestation may not be current. You can also identify species from their droppings but be warned that the differences between roof rat and Norway rat droppings are not always clear. Tracks – Rodent activity can be also revealed by their footprints and tail marks. 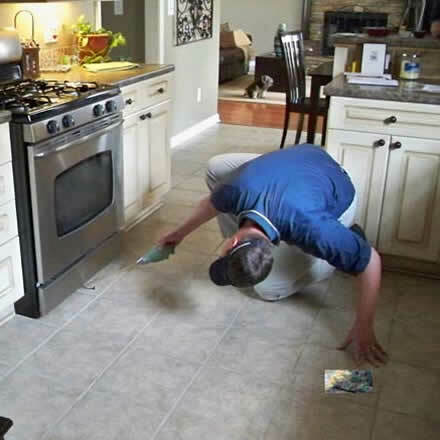 Sometimes, dusting flour lightly over the floor is enough and you can easily detect marks the next morning. Smear marks (also known as “rub marks” or “grease marks”) – these are made by rodents when they come in contact with some hard surface over a period of time. They can be found around entry points and indicate locations which you need to seal. Smear marks are not always the best proof of current activity because they can last for years in an undisturbed environment. Gnaw marks – these marks are very easy to notice and usually are found where rodents have chewed through materials like timber or cardboard to gain access to foodstuffs and nesting sites, or where they are simply gnawing to keep their incisor teeth at a manageable length. Burrows – usually made by Norway rats or mice and roof rats. In one poultry farm there was an enormous infestation of roof rats that lived in burrows dug into the piles of chicken manure. Norway rats are the great “diggers” and they will burrow into creek beds, manure piles or into the soil which is usually covered by tall grass or weeds. Nests – these are hard to find in the case of roof rats because they are hidden away in roof voids or other obscure areas. Mice nests are more commonly noticed because they usually live in lower areas. Sounds – you can normally hear it in the evening or dawn because at that time rodents come out to play and usually emanate from the roof void. You must know that mice sound like rats, rats sound like possums and possums sound like elephants! Smell – rodents have a characteristic odour and cannot be mistaken for anything else. This odour is a sickly sweet and cloying which lingers after the rodents disappear. Stock damage and consumption – rodents are big eaters and they eat around 10% of their total body weight each day and they destroy much more in the process. Look out for damaged packaging, boxes as these are all signs of rodent activity. Urine stains – these stains cannot be seen with the naked eye and you need to use a UV light to find them. Try talking with residents and ask them about rodent activity but be careful because some people exaggerate while others tend to minimise the problem. Also, be on alert for any wall gaps, door gaps or open doors, open trash bins and overflowing dumpsters. 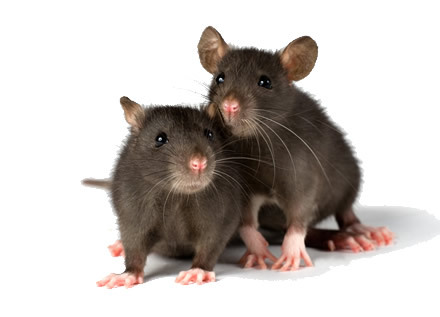 Call our pest control experts for professional rodent treatment! Once you have gathered all the available information, you need to start preparing the treatment plan and a quotation. Many pest controllers have experienced problems in terms of financial loss when they underquoted a job. Always stick to your quotation after you present it to your client. Surely, someone will always offer a lower pest control price but if you do your job well, the reputation will follow. In commercial buildings, you will need to use bait stations that are fixed in place by screws or glue but glue is not such a good idea as it cannot be cleaned easily. You have to mark your bait stations with numbers and the distance between them is determined by rodent species and can range between 3 and 15 metres. You need to use rat size baiting stations for the exterior and interior even if you just find mice. You should use these even in roof voids and use smaller baiting stations in offices and smaller areas such as store rooms where bigger baiting stations will not fit. Some pest control companies use rat stations only on the outside and use mice stations on the inside. They assume that the rats are caught in the exterior stations and there are only mice inside. This approach is wrong because rats can easily enter inside via incoming shipments or through plain doors. Fence line bait stations are somewhat problematic because the majority of rodenticides can be used adjacent to structures. Some say that fences are also structures but this is not what the manufacturers say. You need to make sure that you follow all label regulations as different rules work for different premises such as schools, HACCP locations, AQIS3 locations and organic food production facilities. You need to be familiar with these regulations as they can affect your quotations. Owners of these locations need to obey the strict rules themselves and if you break them, they will probably never call you again. Check the AEPMA Code of Practice before dealing with food production facilities as it contains valuable information and references to all types of pests. Now that you have won yourself a contract and you are about to start a job, make sure that you have a well-made plan. You will make a big mistake if you rely only on rodenticides to control a rodent infestation. While it can be a cheapest option it can also be the most ineffective one. You need to proof all entry points with durable materials. Seal all entry points because your job will be almost impossible if you leave some of them untreated or opened. Check for hygiene and sanitation problems and inform your client on your findings. Ike Matthews who is an author of “Full Revelations of a Professional Ratcatcher” preferred traps and the use of ferrets and dogs to catch rats. He hated baits simply because of the smell that dead rodents left behind. Even 100 years later, things have not significantly changed but there are now materials that help to fight odour. We still use traps and glue boards but still, they are much more expensive if compared to rodenticide baiting as you have to check them each day. There are special rules and regulations in Victoria when it comes to using glue boards and they must be checked before working with them. There is a number of tricks that can be applied to using traps, such as the choice of bait and other attractants. You might think of cheese but over the years there has been discovered that other foodstuffs such as oranges, chocolate, dates, bacon and peanut butter work even better. You can even buy commercial rodent attractants that you can simply put in your traps. The traps are then placed in walls and corners, behind furniture and in all other areas where they come to eat. If you use traps which can be baited without being set, make sure that they are placed out and that rodents pest can get accustomed to them and eat the bait before they are set. Check all your traps each day, remove dead rodents and rearm your traps. Some people do not like glue boards but they are very effective in places where there is food competition. Mice die within one hour and sometimes in ten minutes from hypothermia and stress. Glue boards should be placed near runways where rodents are moving and cannot avoid them. They should not contain attractants because rodents should be caught by them unaware. On one occasion, glue boards were responsible for catching 1,500 roof rats in 9 months in one Sydney fast food place. A cheaper but slower option is the use of rodenticides which are acute anti-coagulants. They have been used in Australia from 1979 and solved the issue caused by warfarin resistance first noted in 1972. This warfarin resistance virtually means that rats were completely immune to warfarin and even if they consumed it, nothing harm would happen to them. The most common complaint with bromadiolone was the one regarding the bad smell. The rodents liked it so much that they ate the whole thing immediately and then died in few days. Before the use of bromadiolone, the control methods consisted of proofing, trapping and using rodenticides such as thallium and 1080. These were very toxic and acted really quick but they did not had any antidote so pest controllers were not very fond of using them. One important rule when using rodenticides is that there must be palatable bait at all times. There is a concept known as pulse baiting in which baits are periodically replaced but clients will expect to have bait inside baiting stations at all times. They can think that your pulse baiting is just another word for your laziness. Another possible issue is that insects such as snails, crickets and roaches love rodenticidal block and can eat them before rodents even get to them. One solution is to use wrapped blocks which are much more expensive but are resistant to insect attacks. A cheaper alternative is to sprinkle your bait stations with salt and others spray aa saline solutions inside their stations to repel snails and slugs. As it was mentioned before, you must place bait stations at the appropriate intervals according to the species of rodent and the label instructions. They are usually placed at either side of doorways, both inside and outside. The reason why is so that rodents will be intercepted as they make a bid to gain entry to the premises. Some people only put bait stations on one side of the doorway but that is not the best solution because you can never be sure whether the rodents are going to be “left handed” or “right handed” and they may not go in the predicted direction which leads to big problems and makes a pest controller looking like an incompetent beginner. 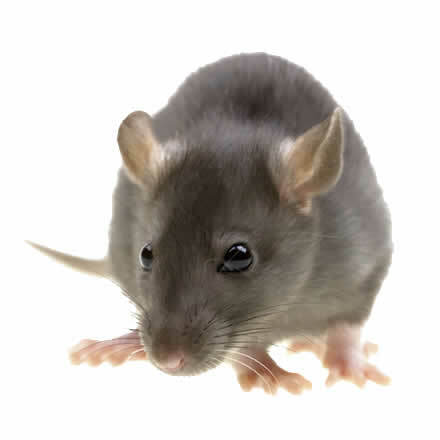 Putting rodenticide baits in a building such as a food manufacturer or a warehouse is not effective because the rodents will not stop eating the existing foods and start eating baits although many pest controllers have succumbed to that erroneous line of thinking. Why would they? In this situation, you will need to include some other methods like proofing, improved levels of hygiene and the use of traps or glue boards. Maybe you will never totally eradicate the population of rodents that you have inside your building, it is likely that you are only nibbling around the edges of the problem. Clients like food manufacturers may have to accept the fact that there will always be some level of rodent activity. In most situations the client will only be satisfied with total control and so will the local council or state Health Dept. Sometimes, the problem arises because of insufficient bait stations or too lengthy an interval between visits. In one case, poultry sheds which length was 220 metres had installed only 4 bait stations. It is more likely that rats will die from frustration in trying to find the bait stations than from the effects of the rodenticide. In situations with large infestation, you need to be sure that are scheduled enough visits to keep the bait up to the rodents. Very good advice which is taken from an article in “Pest Control Technology” magazine which can be received by email every month, free of charge! Following the author's words, it is very important that you provide for sufficient visits so that there is always enough bait for the rodents to eat. Depending upon the size of the infestation, maybe you will need an initial treatment followed by 2 follow up visits a week apart and followed by fortnightly visits. You will need to make weekly visits on some of your commercial contracts; while for others monthly visits will be enough. You need to be very brave to give a quotation on quarterly visits for commercial areas while domestic areas can only have annual visits. You should not give a guarantee against rodent activity and rodent damage because pests could come from the place next door. Mice are sometimes even more difficult to control than rodents because they can live inside boxes and packaging materials. Mouse has a territory that can range from 1 to 3 square metres and you need to be sure that there is a bait station in each territory. When treating schools, you need to use a multiple dose anti-coagulants such as coumatetralyl and when it comes to food sites that are under HACCP or AQIS, toxic baits are allowed in just a few instances, while in some they are not permitted at all. As an alternative, you can use a non-toxic detector wax blocks which should be placed in standard bait stations and checked regularly for gnaw marks. In case there are, you can use traps and glue boards. The problem with not checking the detector block often, they will become a food source for rodents. 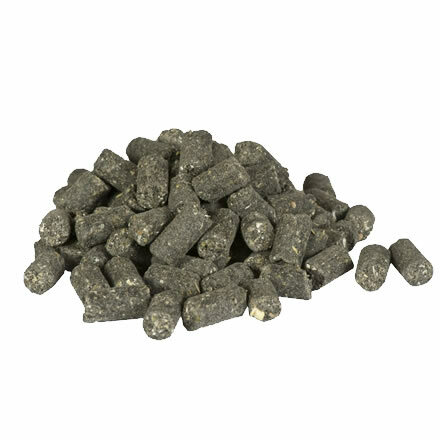 Pellet bait – these tiny pellets of rodenticide are best used in treating rat burrows and in most cases, only a few pellets should be placed in a rat burrow to get control. If you use too many, this pest can become suspicious and decide to throw them out of the burrow. Some pest controllers have come up with a device that disperses pellets in the burrow without the need to put your hands in danger. Place packs – these were known in the past as throw packs because people would simply open a manhole cover and throw them in. Nowadays, you need to inspect the roof void or sub floor and gently place them there. They consist of a grain based rodenticide closed in a plastic bag. Concentrates – most often used product is a powder with an addition of coumatetralyl as its active ingredient. It is used as a contact dust or as a bait concentrate and mixed with an attractant. This procedure is very useful if the rodents have a habit of eating a certain foodstuff. In these cases, the concentrate can be added to the foodstuff. They are not suitable where spill proof baits are used. When used as contact dust, it is applied in areas where rodents walk and run but it cannot be used in places where it can blow onto animals, food and food preparation areas. Liquid concentrates – most commercial products use bromadiolone as their active ingredient. All liquid baits need to be placed in a spill-proof container which can be held in a tamper resistant baiting stations. On some occasions, pest controllers pour diluted concentrate on certain foods that rodents were eating. In one such case, rodents were eating chick peas and sunflower seeds and they refused to eat the wax blocks. After a couple of unlucky attempts with glue boards, the pest controller placed these items in baiting stations and poured the liquid bait on them. In just a few weeks, all rats were gone. Rat gel – this was used before by some companies and it was basically a 3% warfarin added to something similar to Vaseline grease and placed along rat runs. It was very effective but it is no longer available. Fumigants – you will not be able to use fumigants such as aluminium phosphide pellets and tablets for rodent control unless you are a licensed fumigator. If you are one, you have to follow strict set of rules. Fumigants are used only for gassing Norway rats and only when they are not close to human and animal habitats. Always conduct a detailed inspection before doing anything else. Always recommend both non-chemical and chemical control measures. Always read the labels and use your products according to instructions on the labels. Always quote multiple visits to ensure there is enough bait for rodents. Always use a range of products in your treatment - do not rely on just one product. Try to “think as a rat” - ask yourself where do they live and what do they eat. Make a challenge out of it. Are you really going to let some rat beat you? Pest control is what we do best. We are professionally trained, insured and licensed in all areas of residential and commercial fumigation. When you need a honest, friendly and reliable pest exterminator expert, ask for Robert from Masters Pest Control Sydney. We guarantee pest removal with one treatment and warranty on all pest removal. Unique industry pet and family friendly ants, cockroach, rats, spider and termite solutions. Servicing Sydney wide and all surrounding suburbs. We are a proud family owned business providing our pest elimination service across Sydney. Our focus is on providing safe and natural pest management and eradication, perfectly suited for people who care about their families and loved ones. We get rid of the pests that spread diseases such as rats and cockroaches and we are specialists at termite eradication and remedial work. We can help you get rid of so many pests: ants, bed bugs, cockroaches, spiders and termites. We provide remove the following pests termites, rats, spiders, cockroaches, bed bugs and much more. Contact us today!